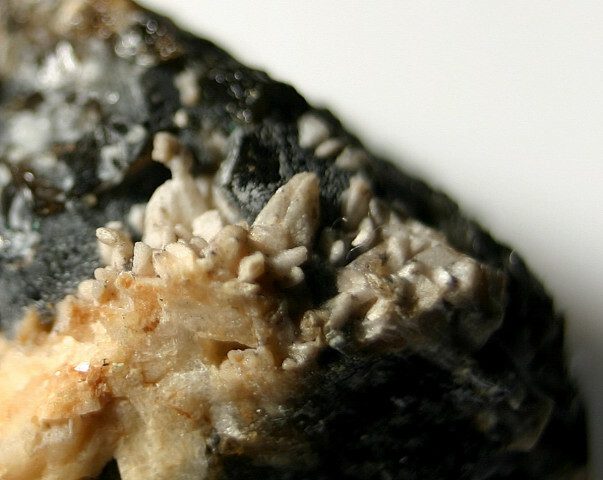 Cuspidine: Mineral information, data and localities. Colorless, tan, light brown, pale red. Named by Arcangelo Scacchi in 1876 from the Greek "cuspis," for a spear, the characteristic shape of the twinned crystals. Colorless to tan masses, occasionally pale red. Crystals have a steep termination. The F analogue of 'Chlorocuspidine'. May be associated with pyrometamorphism due to coal fires (e.g., Kruszewski, 2006). As such, it may bear some germanium. Germaniferous Cuspidine Mean Ge content observed is 895 ppm. Calcite 9 photos of Cuspidine associated with Calcite on mindat.org. Willemite 9 photos of Cuspidine associated with Willemite on mindat.org. Franklinite 9 photos of Cuspidine associated with Franklinite on mindat.org. Phlogopite 3 photos of Cuspidine associated with Phlogopite on mindat.org. Oldhamite 3 photos of Cuspidine associated with Oldhamite on mindat.org. Fluorite 3 photos of Cuspidine associated with Fluorite on mindat.org. Periclase 3 photos of Cuspidine associated with Periclase on mindat.org. Thaumasite 3 photos of Cuspidine associated with Thaumasite on mindat.org. Portlandite 3 photos of Cuspidine associated with Portlandite on mindat.org. Spurrite 3 photos of Cuspidine associated with Spurrite on mindat.org. Dana, E.S. (1892) Dana's system of mineralogy, (6th edition), 533. Tilley, C.E. (1947) Cuspidine from dolomite contact skarns, Broadford, Skye. Mineralogical Magazine 28, 90-95. Van Valkenburg, A., Rynders, G.F. (1958) Synthetic cuspidine. American Mineralogist 43, 1195-1202. Saburi, S., Kawahara, A., Henmi, C., Kusachi, I., Kihara, K. (1977): The refinement of the crystal structure of cuspidine. Mineralogical Journal (Japan): 8: 286-298. Merlino S., Perchiazzi N. (1988): Modular mineralogy in the cuspidine group of minerals. The Canadian Mineralogist: 26: 933-943. Kruszewski, Ł. 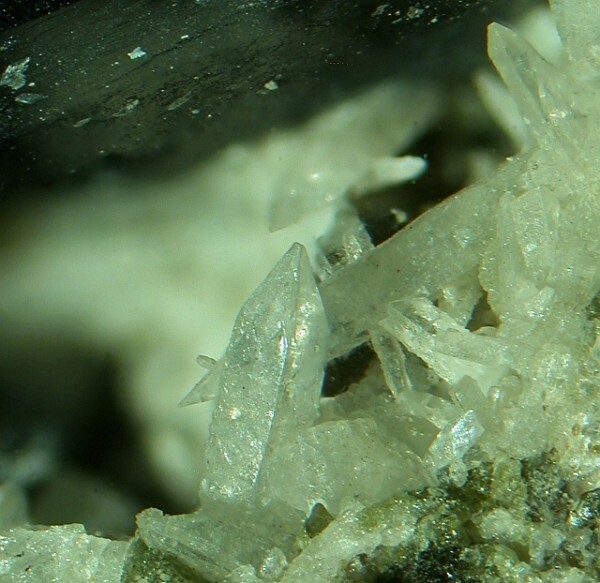 (2006): Oldhamite-periclase-portlandite-fluorite assemblage and coexisting minerals of burnt dump in Siemianowice Śląskie - Dąbrówka Wielka area (Upper Silesia, Poland) - preliminary report. Mineralogia Polonica Special Papers: 28: 118-120. Blaß, G. and Kruijen, F. (2014) Die Neuigkeiten aus der Vulkaneifel (2/14). Mineralien-Welt 25 (5), 62-75 (in German). ; Blaß, G. and Kruijen, F. (2015) Neuigkeiten aus der Vulkaneifel (II/2015). Mineralien-Welt, 26(5), 80-90. Stoppa, F., Sharygin, V.V., and Cundari, A. 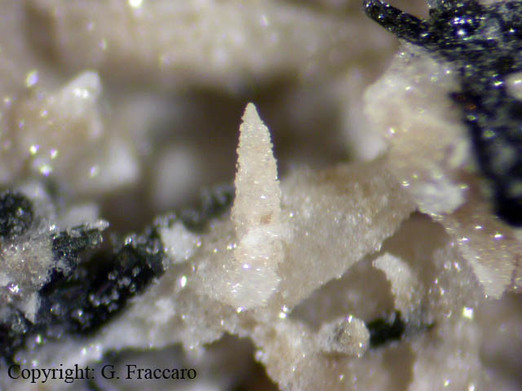 (1997): Mineralogy and Petrology 61, 27-45; Bellezza, M., Merlino, S. and Perchiazzi, N. (2004): Chemical and structural study of the Zr,Ti-disilicates in the venanzite from Pian di Celle, Umbria, Italy. Eur. J. Mineral. 16, 957-969.; Stoppa, F., & Schiazza, M. (2014). Extreme chemical conditions of crystallisation of Umbrian Melilitolites and wealth of rare, late stage/hydrothermal minerals. Central European Journal of Geosciences, 6(4), 549-564. Tilley, C.E. (1947) Cuspidine from dolomite contact skarns, Broadford, Skye. Mineralogical Magazine: 28: 90-95. Tilley, Cecil Edgar (1947), Cuspidine from dolomite contact skarns, Broadford, Skye: Mineralogical Magazine: 28: 90-95; Pemberton, H. Earl (1983), Minerals of California; Van Nostrand Reinholt Press: 477.